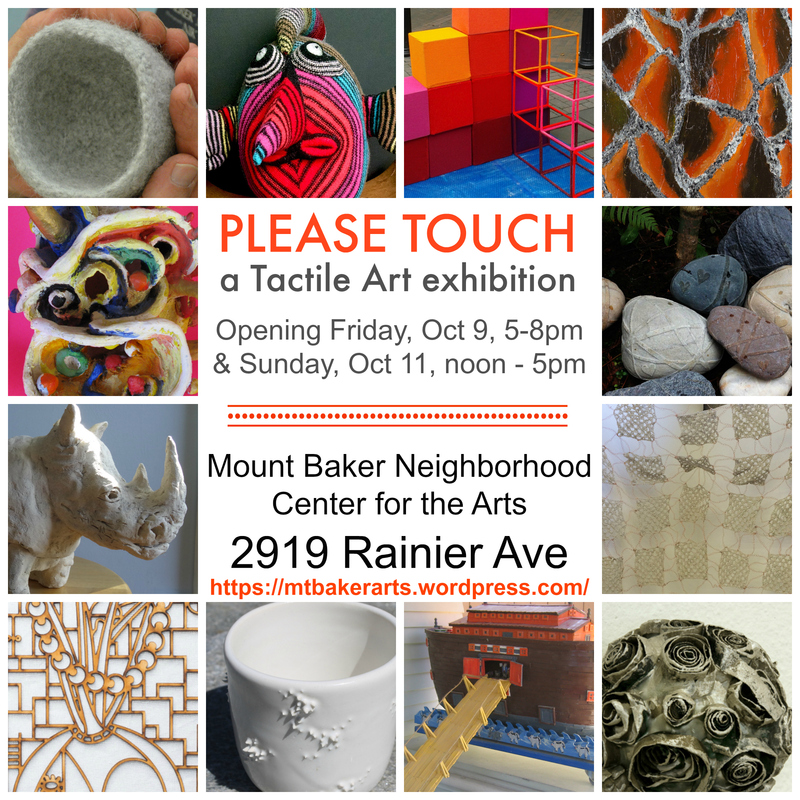 Join Mount Baker Neighborhood Center for the Arts for the exhibition Please Touch, an exciting art show featuring 19 regional artists, emerging to established, providing artwork you can TOUCH and experience through the tactile sense. Featuring: Deborah Kapoor, Nancy Stokely, Lucy Mae Martin, Randy Warren, Suzanne Tidwell, Laura Castellanos, Stacy Thurston, Elise Koncsek, Hawo Ali, Camille Jassny, Karel Hendee, Carolyn Autenrieth, Canyon Bowden, Betty Laughlin, Cara Franklin-Moytoy, John Lucas, Jane Walster, Randy Warren, and Robert Ross. Also on display will be select work from MBNCA’s collection of artwork by visually impaired artists from around the world, including the famous Turkish artist Eşref Armağan. This special exhibition is supported by 4Culture. Mount Baker Neighorhood Center for the Arts is a South Seattle nonprofit exhibition space focusing on artists with disabilities and from underserved communities. MBNCA exhibitions, workshops, and events are designed to provide creative experiences for ALL artists and audiences.